[media-credit name=”Kennejima” link=”https://www.flickr.com/photos/kennejima/6238560388″ align=”alignnone” width=”640″][/media-credit]TV makers are constantly crowing about the tricks their smart TVs can do. But one of the most popular brands has a feature that it’s not advertising: Vizio’s Smart TVs track your viewing habits and share it with advertisers, who can then find you on your phone and other devices. The tracking — which Vizio calls “Smart Interactivity” — is turned on by default for the more than 10 million Smart TVs that the company has sold. Customers who want to escape it have to opt-out. Vizio’s actions appear to go beyond what others are doing in the emerging interactive television industry. 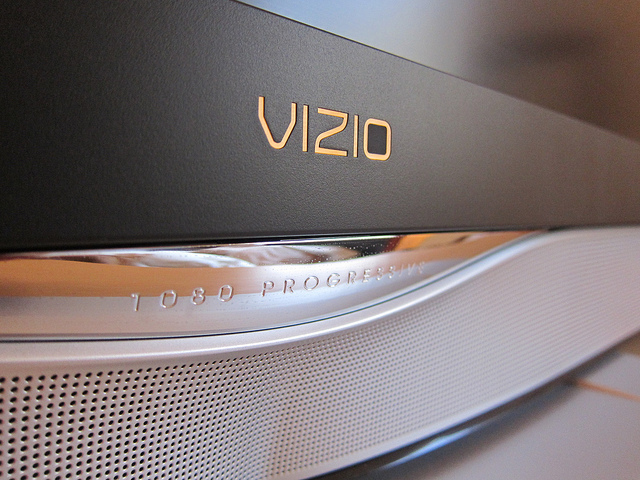 Vizio rivals Samsung and LG Electronics only track users’ viewing habits if customers choose to turn the feature on. And unlike Vizio, they don’t appear to provide the information in a form that allows advertisers to reach users on other devices. Vizio’s technology works by analyzing snippets of the shows you’re watching, whether on traditional television or streaming Internet services such as Netflix. Vizio determines the date, time, channel of programs — as well as whether you watched them live or recorded. The viewing patterns are then connected your IP address – the Internet address that can be used to identify every device in a home, from your TV to a phone. IP addresses can increasingly be linked to individuals. Data broker Experian, for instance, offers a “data enrichment” service that provide “hundreds of attributes” such as age, profession and “wealth indicators” tied to a particular IP address. Cable TV companies and video rental companies are prohibited by law from selling information about the viewing habits of their customers. However, Vizio says that those laws – the Video Privacy Protection Act and cable subscriber protections – don’t apply to its business. The company said in its filing that revenues from its viewing data business are not yet significant. But people familiar with the company said that Vizio has begun working to combine its viewing data with information about users that it gets from data broker Neustar. Neustar declined to comment about the relationship, but said the company does not handle or distribute viewing information about Vizio users. A spokeswoman for Tapad, a company that helps identify users across their many devices, said that its contracts prevent it from sharing the name of the companies it works with.